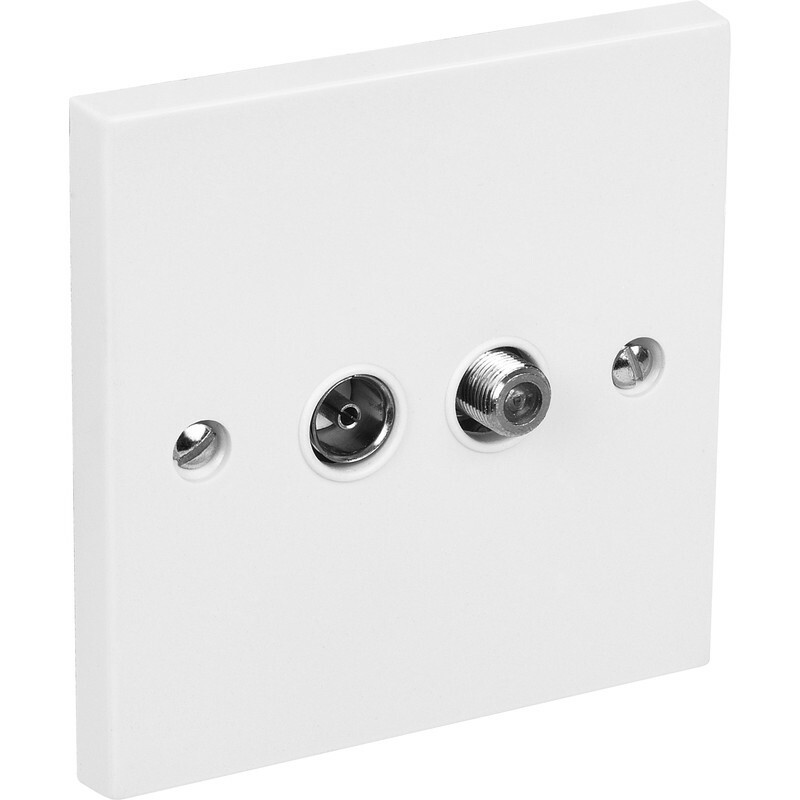 F type connection for low signal loss. Axiom TV & Satellite Socket TV & Satellite is rated 4.0 out of 5 by 4. Rated 5 out of 5 by SteveD21 from Does the job Looked around all over and found this on Toolstation, all good! Rated 5 out of 5 by Anonymous from Just what we needed I have been looking for a replacement for this type of socket for several weeks and was very pleased when this popped up on my PC. Rated 1 out of 5 by Mike1230000 from Cheap! Cheap & nasty, made of the most brittle plastic and really awkward to wire up, finally managed to and it cracked when I did the screws up, don’t waste your money buy an MK one!. Rated 5 out of 5 by spanners from f type satalite socket As good as the more expensive sockets. Good quality.